I Love Dino: Woohoo!!! Ashley is One Month Old!!! so cute!!! i want those cookies too! 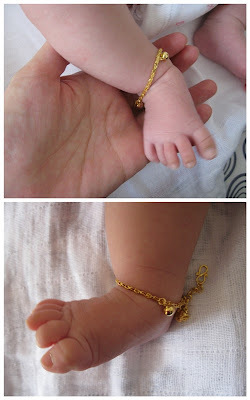 hee... congrats ashely on turning one month old...i can't wait to see you and dino and everyone in taipei!! Happy One Month Old Ashley!!! You are sooo sweet and beautiful!! Dino give Ashely extra kisses today ok! Wow, time really flies! Happy 1 month old, Ashley! You and your Mom look gorgeous! Oh, how cute. Happy 1 month, Ashley and mom! Happy one Month old, beautiful! Happy one-month Birthday, Ashley! You are so very beautiful! Happy happy happy one-month birthday dear Ashley!!!! And congrats Dino...We're sure you'll be the best brother in the world for her!!!! Can't wait to read about your adventures in Taipei all together!!!! We love you and we miss you a lot!!!!! Sweet kisses and special cuddles to baby Ashley!!!! Happy 1 month Birthday, Ashley! You are wonderful. Dino, give your sweet sister a kiss for us, please. And your mom, too, she looks gorgeous! Happy one month old Birthday Ashley! You are s very beautiful baby! Have a grrreat weekend Dino and family! One month old?? OMD! Time flies! I love to see all her pictures! 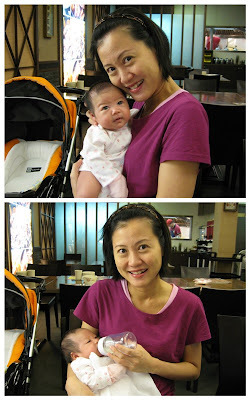 How fast you are growing, dear Ashley! And how lovely you are! Happy one-month and see you and Dino in Sept! love, aunty j. How wonderful, your mom still has the radiant, glowing look just like when she was pregnant. Baby Ashley looks lovely more and more every day! Dino, I'm jealous! My mom quits having babies long long time ago! 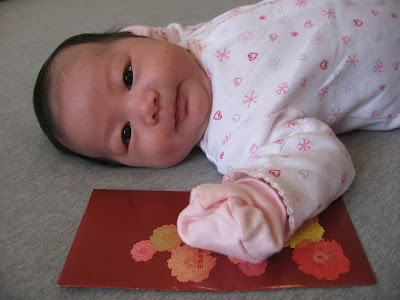 Happy one month old, baby Ashley! You look gorgeous, healthy and happy! Tons of kisses from Texas! One month old already? Wow! I can't believe it too. She is ubber cute & I bet you all are taking good care of her. She looks nice & chubby.